Now that the blog is up and running and beginning to take some sort of shape I suppose it’s time to put something a little more substantial in here. Anyway on to the potted biography which may or may not be taken in part from the latest edition of ‘Who’s Not Who’ a totally useless tome published periodically and featuring thousands of Walter Mitty like characters who remain bewildered that the rest of the world doesn’t bow to, or recognise their magnificence. “Born on 11th June 1964 Earlsdon, Coventry, UK. A receding hairline and an expanding waist along with the realisation that I was never going to be able to match the likes of Paul Rodgers, David Coverdale, Frankie Miller, Ian Gillan, Robert Plant, Jess Roden, Burton Cummings, Scott Walker , Ronnie James Dio et al resulted in a somewhat premature retirement (much to the delight of the collective worlds eardrums). The trademark SM58 and leather trousers subsequently consigned to a trunk in the attic of a house from which I have long since departed. 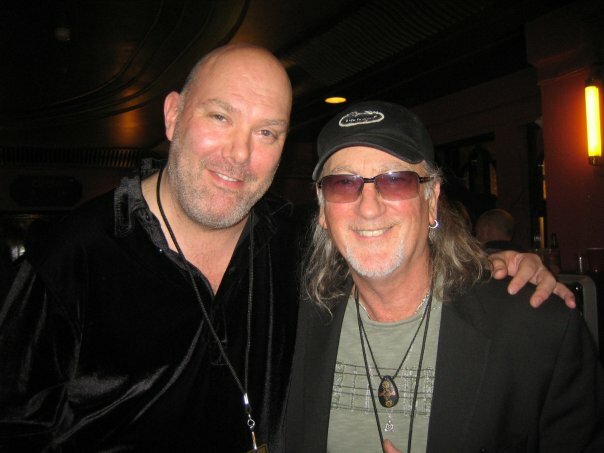 Roger Glover and I backstage at the Hammersmith Apollo during the 2009 Deep Purple UK tour. Record collecting has been my main hobby and interest for more years than I care to remember and I have managed to amass a pretty eclectic collection although it is rather top heavy with rock music particularly from the Deep Purple and Free family trees. It is amazing how widespread a collection can become especially when you reach an age where you are not bound by fashion and stereotypical images of what you should or shouldn’t be listening to. 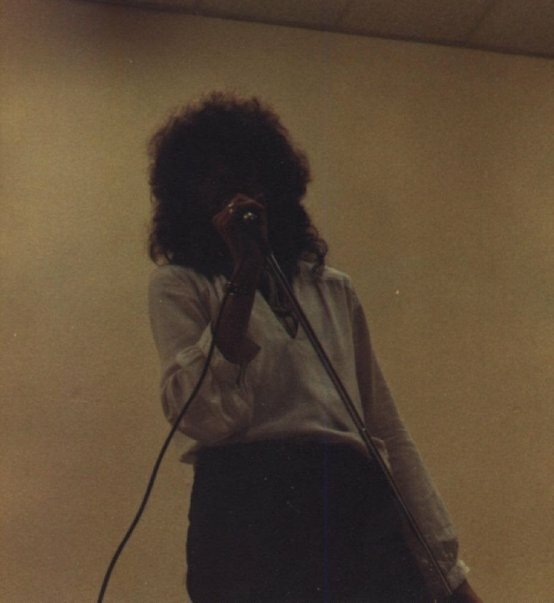 An example, Deep Purple to Chantal Kreviazuk via Burton Cummings and The Guess Who. As a sixteen year old you buy Deep Purple’s Come Taste The Band album. From that you get into all the other Deep Purple albums and the solo projects of the musicians involved. Hence Tommy Bolin was in the James Gang so you get into them. The guitarist before him was Domenic Troiano, you like his songs and you discover he was in The Guess Who. You buy their albums and discover vocalist Burton Cummings who subsequently becomes one of your favourite artists. Then many years later whilst searching for CD remasters on a Canadian Website you discover a female singer/songwriter called Chantal Kreviazuk and she subsequently leads you down another road entirely. For the past five years or so I have been an active contributer to the music website rateyourmusic.com. A totally free site where music lovers can catologue, rate and review their music and create non sensical lists and games etc. Think of it as Facebook for music addicts. I have made many new friends there from all over the world and have been put onto some great new music I would never have found otherwise. That is where I started writing the reviews that are being amalgamated here collectively. I am now lucky enough to be in personal contact with a number of my favourite musicians as well as a bunch of newcomers who are working hard to get themselves noticed. You’ will quite often find me championing the cause of some obscure singer/songwriters on here and at RYM. I’m always keen to hear other peoples opinion of music and to be put in the direction of something new. However, I won’t manufacture anyone a positive review on request. Ask me to review and I will, whether or not you use it is up to you.